Chicken family is now complete with Mary, Hurley, Séan and Liam born into the lonely atmosphere of an incubator this week and now installed in an enclosure in the living room right under Jean Francois's desk. They spend their time tweeting to each other angrily now that Billy, as first born, has the wings to fly from the enclosure and enjoy the independence of massacring horseflies alone. Summer has arrived even hotter than ever with temperatures spilling over the 30° mark daily. The vegetables and fruit are well mulched but despite the precautions taken they just might need a good watering soon. After two weeks of such extreme temperatures, the soil beneath the straw is beginning to harden but hopefully their good roots have gone deep to find their nourishment. Luckily weeds can't grow except the exceptional couch grass that could thrive in a bucket of sand. Hard to believe, I've been complaining about so much humidity and now I'm almost tempted to complain about the contrary but that's what happens when you live in the countryside and try to grow your own food. You always blame the weather for the fact that your aubergines are a few centimeters shorter than the neighbors, your hot peppers have only started flowering or your tomatoes persist on remaining green. It's a gardeners prerogative to moan! Life is now lazier until some rain arrives and I can plant out a few brussels sprouts plants and more lettuce, chicory and winter radish. Meanwhile, the air is buzzing with thousands of our bees who are the slaves to the linden blossom nectar and its glorious perfume that fills the air. It normally almost impossible to harvest their flowers as their branches are always too high off the ground and I'd be taking an enormous risk to climb such a fragile tree whose branches crack with the slightest pressure but this year the they are so heavy with flowers and bee weight, they practically lean into my basket. 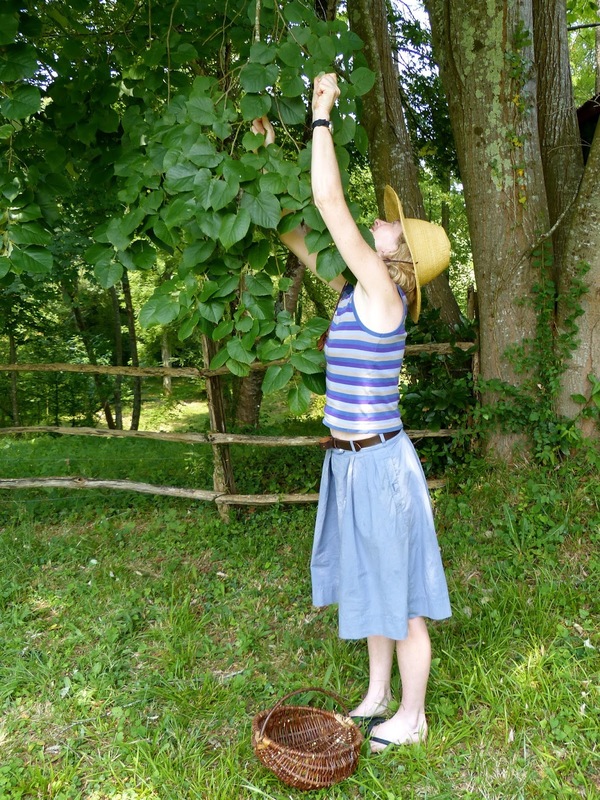 Pick through the flowers, removing any stray leaves. Boil the water and infuse the flowers in the water overnight. Strain the flowers for an hour. Add the sugar and citric acid to the juice. Boil for 5 minutes and bottle immediately. 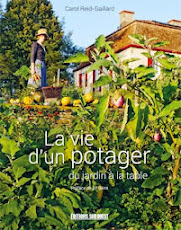 Hello I am a very keen gardener and sometime potager dabbler and I live in Salies. I would love to meet up sometime. I am English and have been out here 10 years. Can you please ring on 0559381991 or email me on janetlangman@hotmail.com thanks very much! Lovely post. Is that a boar?